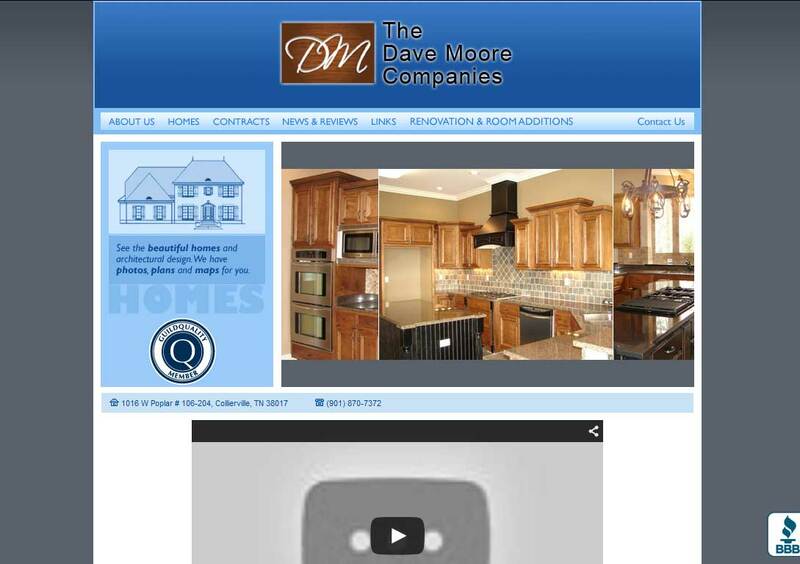 DESCRIPTION: The Dave Moore Companies website was designed and developed by PTC Computer Solutions. Dave Moore Companies are involved in the design and construction of custom homes, residential real estate, retail construction, and commercial construction in the Collierville and Memphis, Tennessee area. You can find out more by going directly to their personal website, www.davemoorecompanies.com, or contact them directly at info@davemoorecompanies.com or (901) 870-7372.